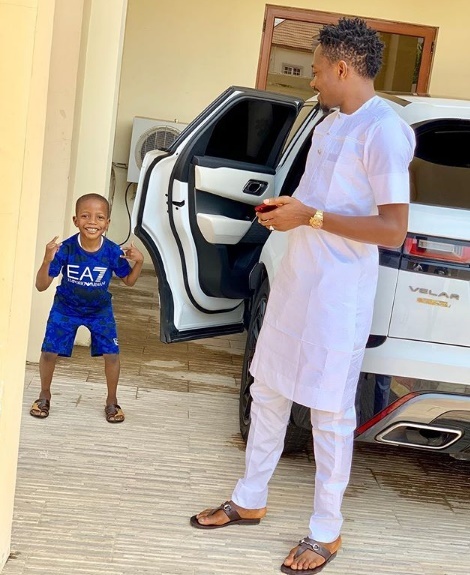 Ahmed Musa lost his mom few days ago and he has been grieving. He grieved so much that one could tell as he kept giving updates on the loss of his mother. Five days ago, he thanked his colleagues, friends and fans for the prayers and love towards him and siblings as they lost their mom. Now, it seems Ahmed has accepted his loss and now moved on. He posted a photo of himself smiling back to his son as he posed for a photograph. Lovely!